Even if you don’t know the least bit about athletics, you are probably aware of Adidas. The brand is after all one of the most recognizable in the world, and its distinctive logo has graced TV screens and magazine pages–not to mention shoes, clothes and accessories–for decades. Payless is a much less familiar brand, although it may just have enough merit to stand up to Adidas, as this comparison article shows. Payless ShoeSource is a footwear retail chain that offers a variety of inexpensively-priced merchandise. Founded by Shaol and Louis Pozez in Kansas in 1956, the store was relaunched as a public company in 1961 called the Volume Shoe Corporation. This company later merged with the May Department Stores Company in 1979. 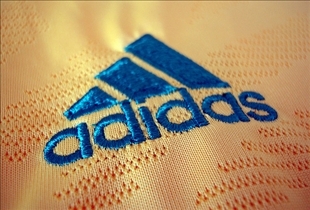 Adidas is a sportswear manufacturer based in Germany. It is also the parent company of the Adidas Group, which is comprised of a number of sports oriented companies including Reebok, Ashworth, and Rockport. Payless came to widespread public attention in the 1980s as a retailer of discount shoes under the Pro Wings brand. These sneakers were distinguished by the use of Velcro straps instead of laces. Over the next few decades, the company also introduced various other lines of footwear and sports apparel. Adidas is of course known all over the world for its sports footwear, but the company also produces an extensive line of clothes and accessories such as bags, shirts, and even watches and eyewear. The company is also heavily focused on producing football equipment, and is in fact responsible for providing clothes and equipment for all Major League Soccer teams. 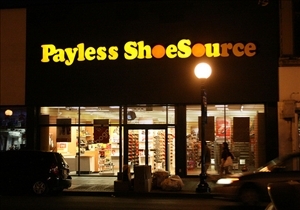 In June of 2006, Payless launched a new logo that reflected its focus on a more stylish and contemporary look. The new company logo is the result of the first redesign in almost 20 years. In October of 2010, the company signed two franchise deals that were geared towards expanding the company’s international markets in 2011. Among the acquisitions that resulted was Grupo Axo, based in Mexico City. As part of the deal, the company planned to open 41 new stores over the following three years, with the eventual goal of opening as many as 300 stores in the long term. Other countries targeted for expansion were Indonesia, Malaysia and Singapore. In these three countries, as many as 20 new Payless stores will be opened in 2011, with even more to follow in the next few years. As for Adidas, it is currently the largest manufacturer of sportswear in Europe and the second biggest in the world, second only to U.S. company Nike. Which brand of sneakers fits better?